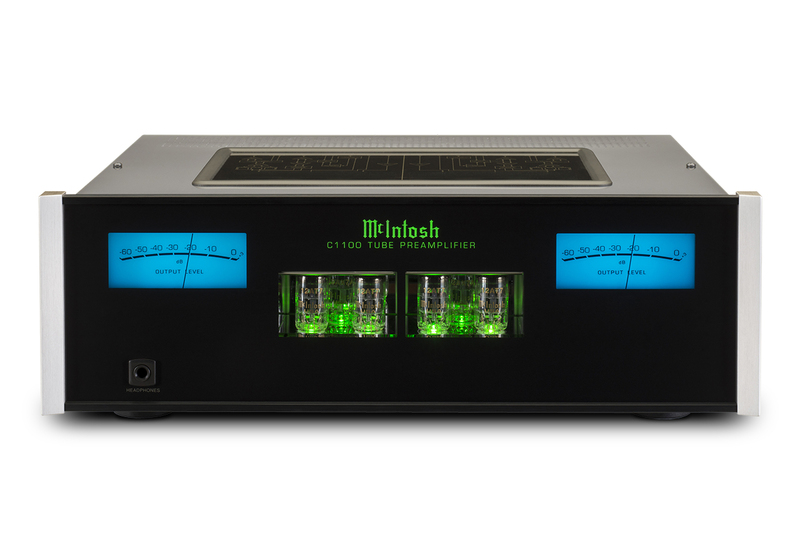 The C1100 preamplifier brings a new level of performance and luxury to McIntosh’s heralded preamplifier offerings – evidenced by its high level inputs having the lowest noise of any McIntosh preamplifier ever produced. 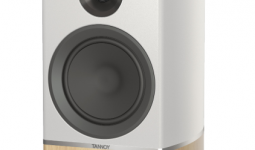 It utilizes a two-chassis design where the control and power sections are completely separate from the audio section. 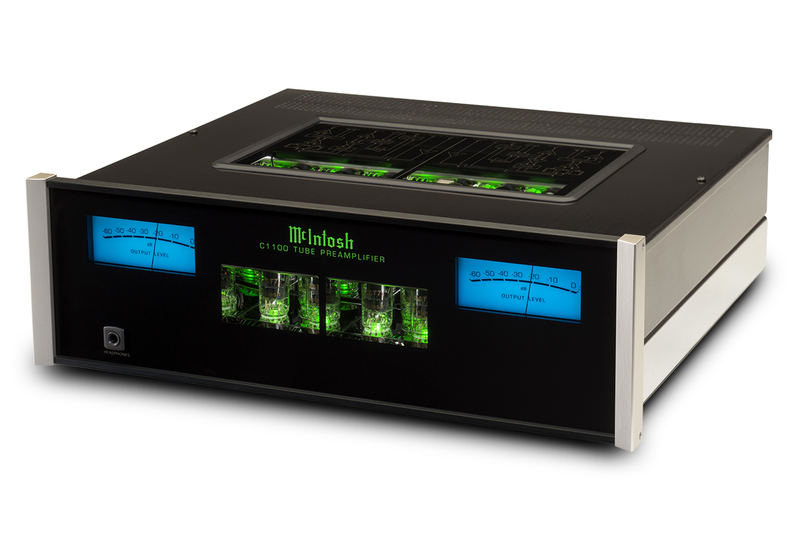 Absolute isolation of a preamplifier’s two main functions – control and sound – is achieved by this unusual but effective design and will provide you with the purest sound reproduction possible for generations of listening enjoyment. All power control, data ports and external control connections are located in the C1100 controller; the introduction of a dual microprocessor allows for an improved robustness of the control system. 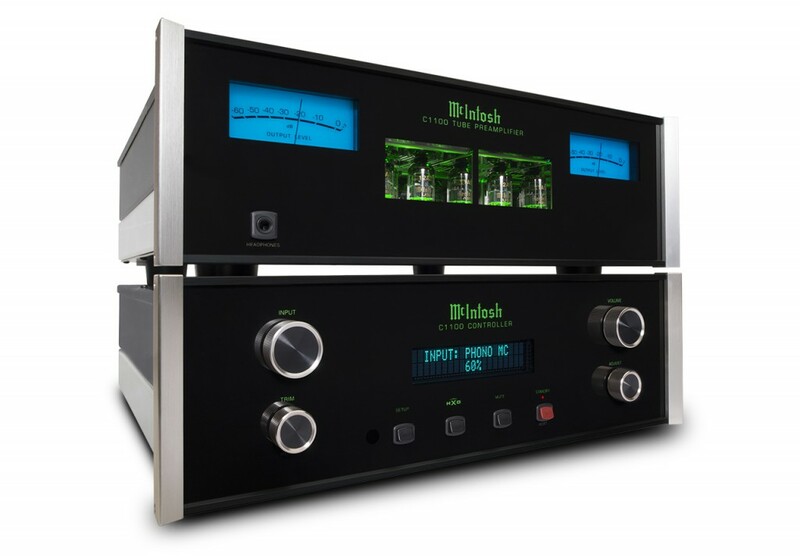 The C1100 vacuum tube preamplifier houses the audio connections and circuitry, featuring a total of 12 analogue inputs: 6 balanced, 4 unbalanced, plus an adjustable loading Moving Magnet and a Moving Coil phono input. 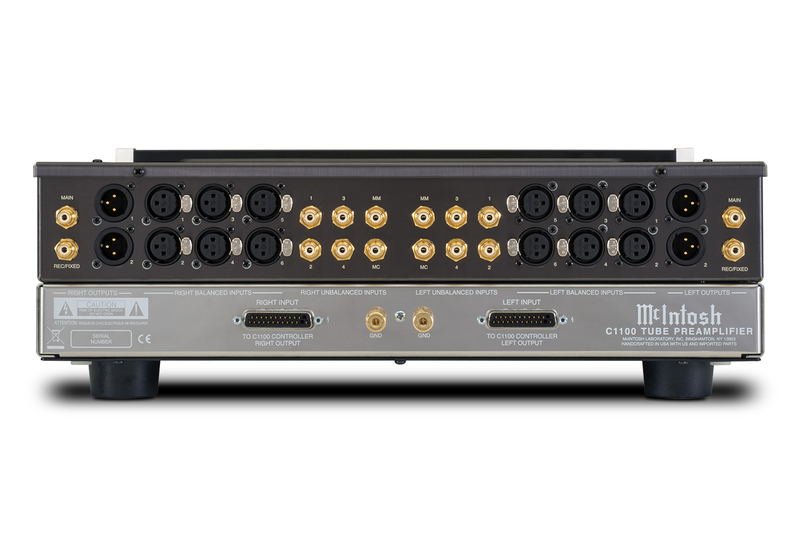 For outputs, 2 sets of balanced and 2 sets of unbalanced connections provide flexibility in connecting to your amplifier. Twelve vacuum tubes (6 each of 12AX7a and 12AT7) power the tube preamplifier. 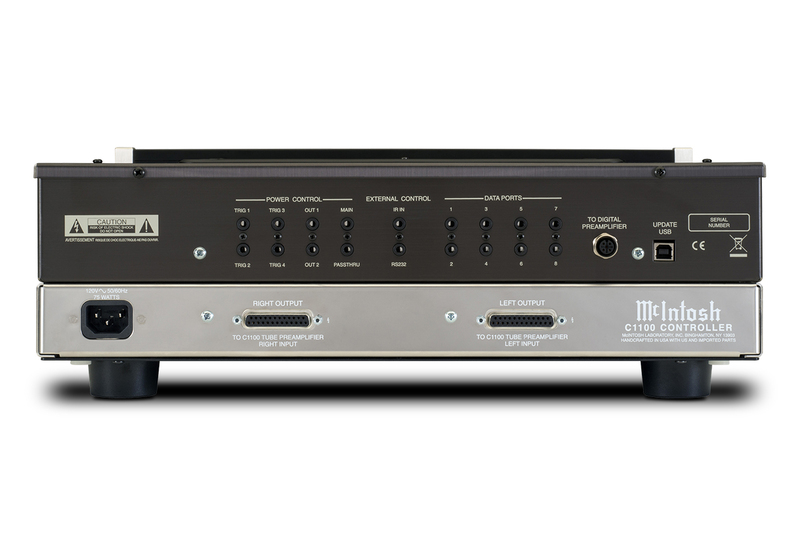 Compared to the C1000 preamplifier which had 8 tubes, the additional 4 tubes in the C1100 lowers its dependency on any solid-state support. The amplifier circuit has much higher common mode rejection, so any noise introduced by interconnect cables is significantly reduced. For personal listening, the headphone jack features a higher output than any of their other preamplifiers and uses Headphone Crossfeed Director (HXD®).The Home Theatre Pass Through feature allows for integration into your existing multi-channel home theatre system. stainless steel chassis, illuminated logos and custom machined brushed aluminium end caps.